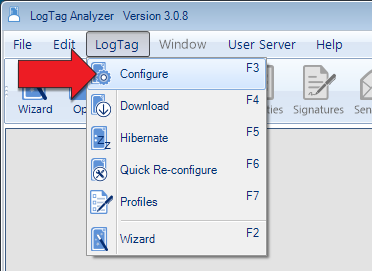 LogTag Analyzer - Which version? 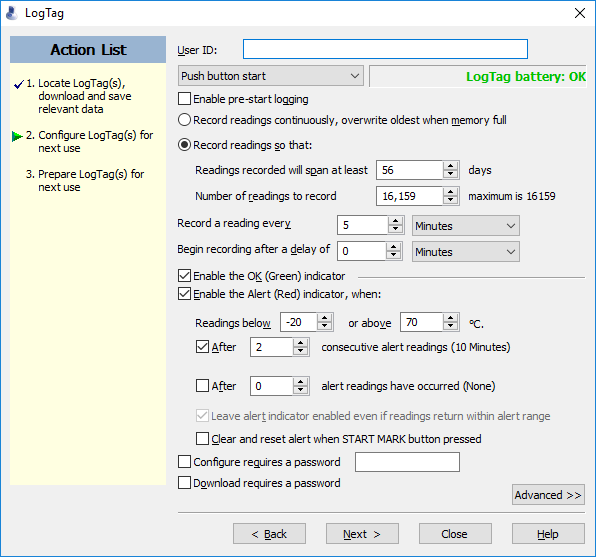 In 2018, LogTag released a major update to LogTag Analyzer – Version 3. We recommend that you upgrade your software to the new version. Go to our Software Downloads page to download Version 3. 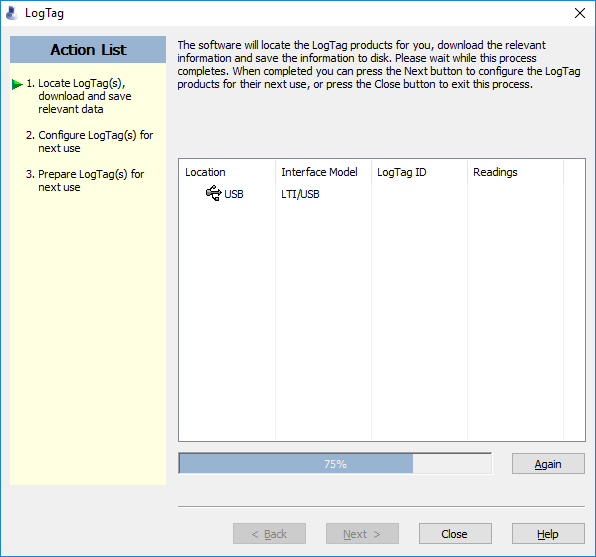 Insert the USB into your Windows PC and follow the instructions to install the LogTag Analyzer software. Alternatively, the latest version of the software is always available from our downloads page. If you are not comfortable with this step or do not have permissions to install new software, ask your IT Department or an IT professional for help. 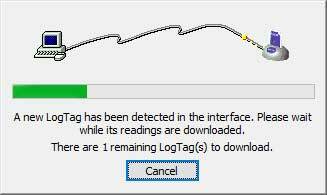 A box (Figure 1) will quickly appear telling you that the Interface has found your LogTag. 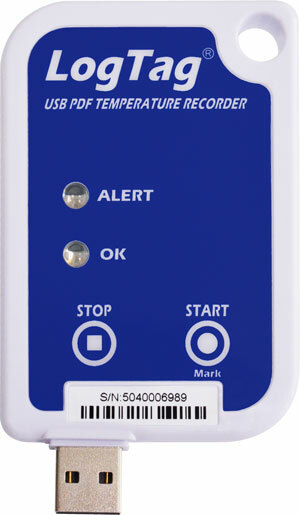 If this is the first time you have connected this LogTag, you will then see a second box (Figure 2) telling you that there is no data on the LogTag. Click on the OK button to dismiss the box. This will take you to the Configuration screen. Configuration settings are discussed in the next section. 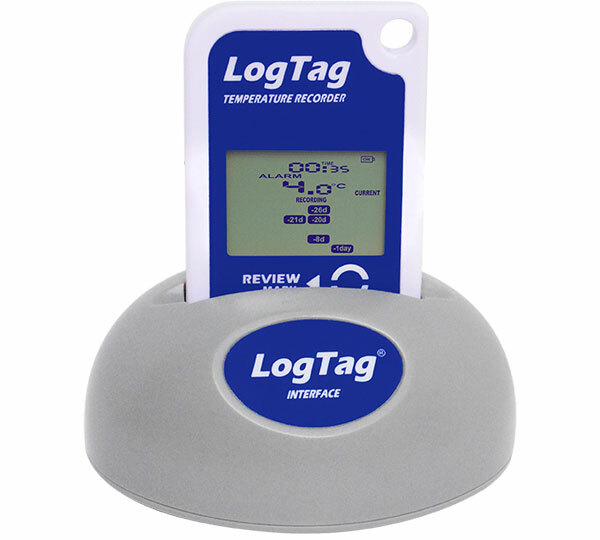 Insert the CD or USB into your Windows PC and follow the instructions to install the LogTag Analyzer software. A box (Figure 1) will quickly appear telling you that the Reader has found your LogTag. 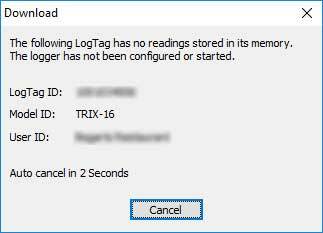 This box will also dismiss leaving you with a blank LogTag Analyzer screen. At the top left of the screen, you will see a text menu (File, Edit, LogTag, Help), and below that, an icon menu. … before progressing to the Configuration screen.